My husbands sister Carlie is getting married in less than two weeks and I couldn't be happier for her and her fiancé Derek. I'm so excited to be a bridesmaid in her wedding. As one of my bridesmaid duties I took on the task of the Bridal Shower and with the help of all her family and friends, it was pretty easy! I got to use a lot of cool antiques I have been collecting and a lot of ideas I've been collecting in my head as well. The shower was this past weekend and couldn't have been better, with a great turn out, and so many yummy things to eat! We decided to have a brunch shower Saturday morning and were going for a girly, vintage, breakfast, picnic vibe. Her aunts and some lovely ladies from church all pitched in to make a delicious breakfast spread including fluffy biscuits, cajun breakfast rice, beignets with honey, mini hashbrown casseroles, grapefruit with sugar, a grits and sweet potato bar, sausages, and mini pancakes with blueberries! To drink we had orange juice, hot chocolate, and milk served in real glass milk jars. I have seen a bunch of dairy crates, but with no jars, and when I found all of the jars in the original wood dairy crate, and had to have them! They weren't cheap but I knew I could use them for plenty of parties in the future. I used a pale burlap to cover the table with and ribbons and lace running down the middle. We hung some pretty quilts on the walls and put a vintage tablecloth on her gift table and topped it with an old metal dairy crate filled with random jars of flowers, and put two red "lovebirds" on the handle. The rose sheet (on the chair), table cloth, white picnic basket, metal crate and bottles were all purchased from The Cozy Nest in Downtown Attalla. Me and Sydney went to thrift store and got a few sheets with pretty patterns to use for the banners. It took a while to get them done but they looked so cute streamed across the ceiling. It was hard to get a good pic of them! We used white chair covers and tied them with all different kinds of ribbons that a friend from church has been collecting. Here is the happy bride-to-be about to open her gifts! THE WEDDING IS ALMOST HERE! SO EXCITED! Faith, Trust, and Pixie Dust. 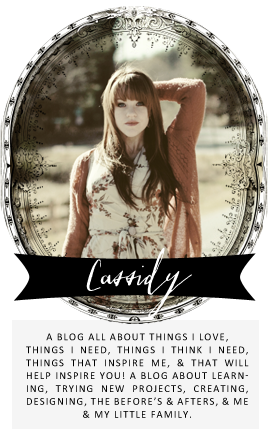 Blog designed by Maiedae. All content, images and design elements © 2011 - 2013 Things Like Skeleton Keys. All rights reserved. Please do not use any written content or images without prior permission.